The tasks given and approaches used by our consultants are focused exclusively on your requirements! Projects are carried out with speed and full concentration – even in the most complex tasks! You will be able to see and measure the results and successes of a co-operation with us right from the get-go! Your own staff will be involved directly in all project tasks, which will guarantee full acceptance and ready implementation of new measures. We guarantee success in all certification projects! Rhein S.Q.M. bases all consultation and development processes on the valuation of existing assets. Your company offers valuable resources and plenty of potential, which will be taken into account in our joint project work. We work with you on the implementation of reasonable and feasible processes to develop tailor-made, practicable solutions. That is our objective! Rhein S.Q.M. is acutely aware of its responsibilities in terms of the confidentiality of your company’s data, environment and strategy. We are happy to announce that the long-time and successfully running Rhein S.Q.M. quality management system has once again been ISO 9001 certified. 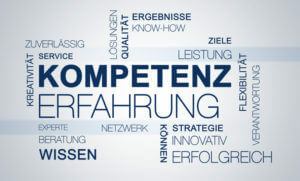 The certification scope for Rhein S.Q.M. is: “Development, planning and implementation of management consulting, operational quality and supply chain management, seminars, trainings and workshops”. The quality of our consultants, supply chain managers, trainers and service team is the base of our corporate success. Their dedication, especially in contact with the customers and partners, their liability and creativity indicates our internal and external way of working. This long lasting quality, proven by our customers’ satisfaction surveys, has now been audited and certified by an accredited certification body. We are convinced that the certification by DEKRA Certification GmbH establishes our position as your competent partner and professional business support. We LIVE quality. If you want to have a look at our quality management manual, please contact us!